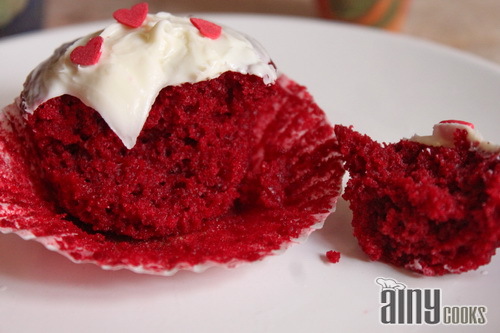 These magical cupcakes are as Luxurious as they sound, these are simple, fluffy and delicious . 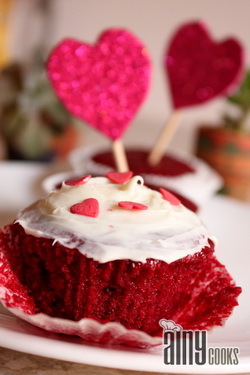 Recipe of RED VELVET CUPCAKES is from Martha stewart blog. I have changed it a bit. Proportions are different but as you can see end result is too good. In original recipe oil was 1 1/2 cup , for me it was tooooo much so i cut it down but believe me they came out so well. 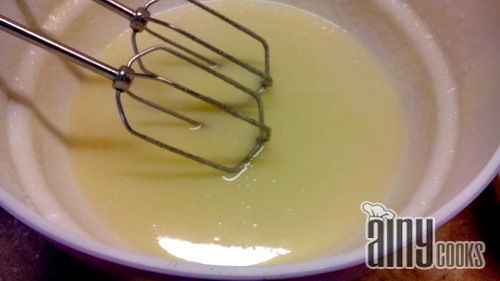 Make buttermilk, take 1/2 cup milk an add 1/4 tsp vinegar in it. Stir and set aside for few minutes. In a large bowl add sugar (grind it) n oil. 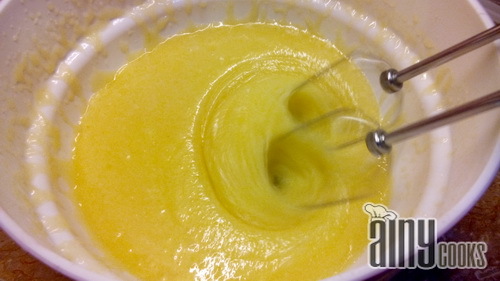 Use beater to mix till creamy. Add egg and beat again for 5 minutes. Add vanilla essence. 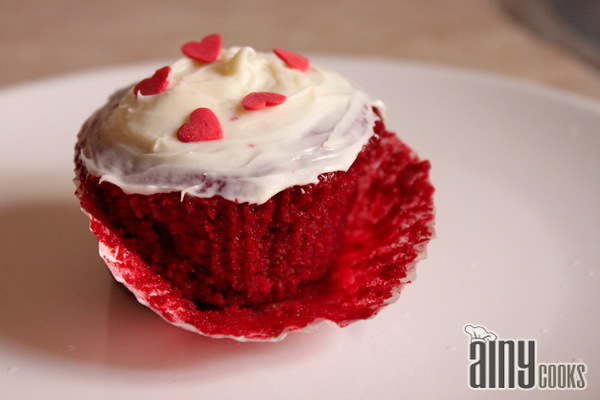 In butter milk add food color. 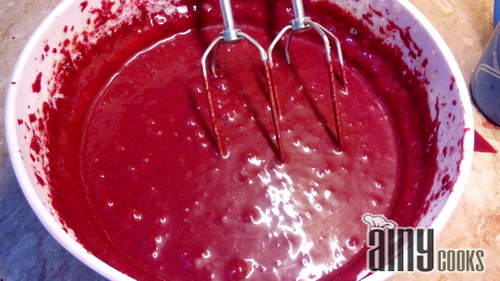 (be careful about powder food color first add 1/4 tsp n mix, if required more for bright color then add just pinch). 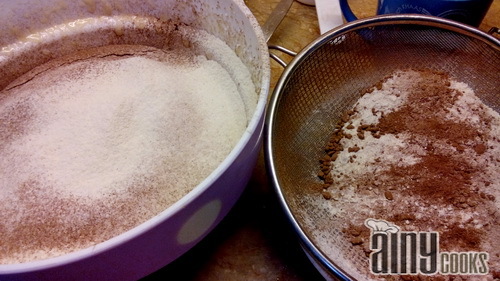 Mix cocoa, baking powder and flour. Now first add flour in oil mixture and beat, add milk in oil mixture. Beat well. Now again add flour , beat then add milk and beat. Last time add flour and then milk, beat well. 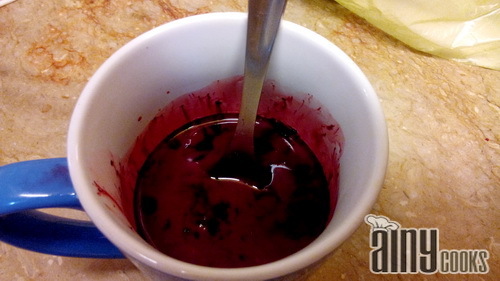 In a small bowl add vinegar and baking soda, mix with spoon. Chemical reaction will start, pour in batter. Beat it again. 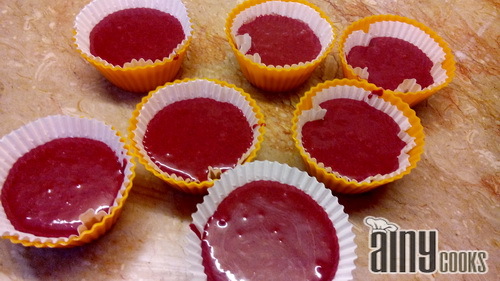 Fill in cupcake cases and bake for 25-30 minutes at 180c. 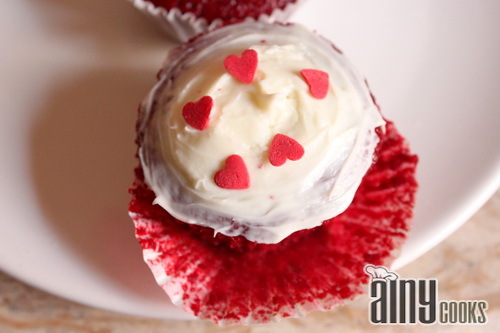 Beat all ingredients of cream cheese frosting and spread on cupcakes before serving. Hey ainy how you doing ? 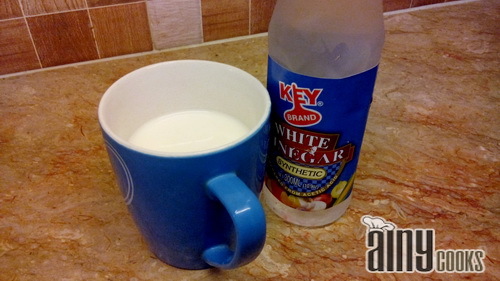 I wanted to ask about few steps , 1) when did you add butter milk mixture ? 2) in the should v again add baking powder n vinegar ?if yes then In what quantity ? Thanks Erum, am fine 🙂 add half flour and then add butter milk then again add flour and mix buttermilk.In two steps you have to add buttermilk. Baking soda we will add in vinegar in the end and after mixing add in batter. Its baking soda not powder which we will add in vinegar. can i use that zarday ka color that we use for biryani??? where did u get that color from??? 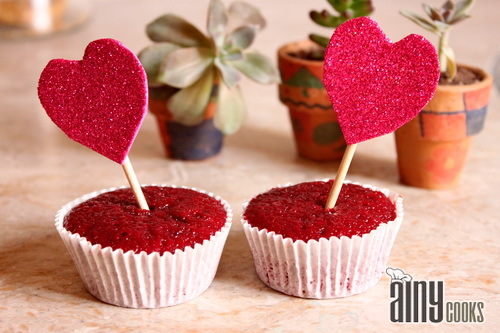 Anum that food color will not give you perfect red color ,dear you are in karachi you can easily get it from empress market.In powder form. Or go to memon foundation-Azizabad you will get all colors i mean gel or liquid or powder with perfect quality from there. 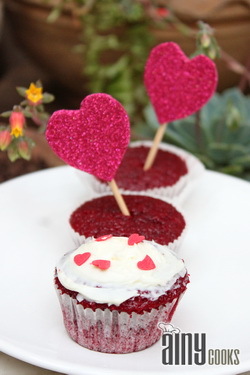 how many cupcakes will i get from this quantity??? You can use Crave, Italiano or if living in Karachi city than you can buy chocolate from empress market. Crave and Italiano is now available in all cities of Pakistan.